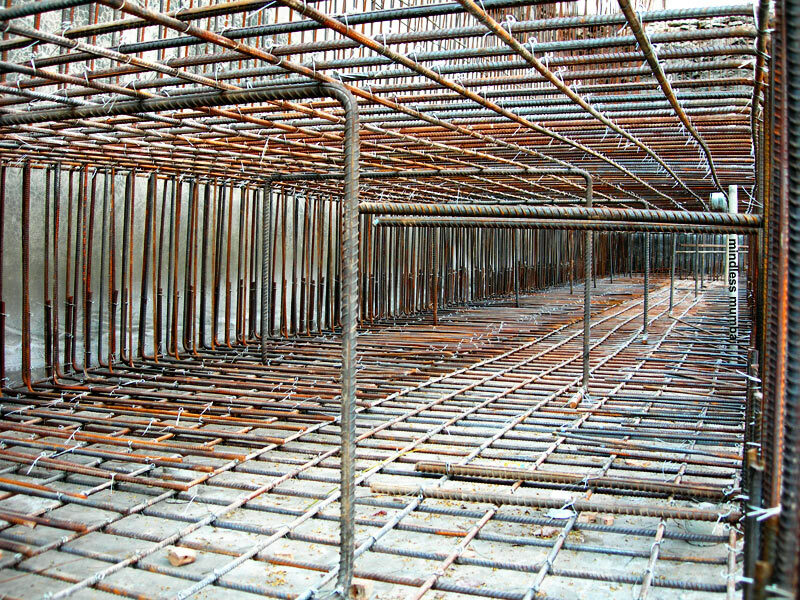 a steel reinforcement cage for the footing of a retaining wall. this reinforcement cage looks a lot better like this rather than in a head-on one point perspective. 4000 visitors' marked crossed. thanks! Very nice, and impressive! I'd love to make photos of inside building sites, but I guess I'll need to be an architect for that! that looks more like a piece of art!